When you start your web sites, everything looks good, and the files and content that you upload over time will slow down. This slows down the pages in a long time to open your visitors to your site necessarily annoys. Because no one likes to wait long or leave your site before the page opens or come again. With another look, google also doesn't like slow drop-down sites and starts to place them right in the back row. This in turn affects the number of visitors by reflecting in proportion to your site's visit rate. Now, how do we speed up your website? 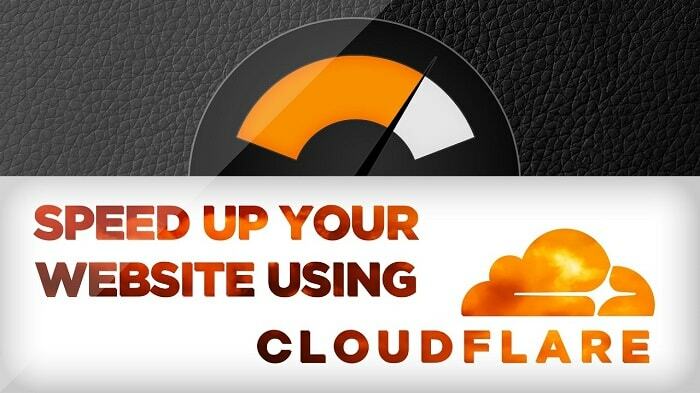 Cloudflare services provide a security-based firewall and antivirus service for your site, most of which are free of charge. At the same time, your site's scripts from the cloud to be opened by helping to accelerate, while on the other hand many features such as google analytics and adsense direct cloud allows you to use over.